Awesome product, keeps all my pivots nice and smooth. I have no idea what's in this lubricant, but it does seem to do a better job, particularly with flipper knife mechanisms. I have used gun oils of various types--typically containing Teflon. But they have a strong odor, and often the lubricating action does not last. And these types of oils seem to work poorly for me on the ceramic bearings in the pivot joints. 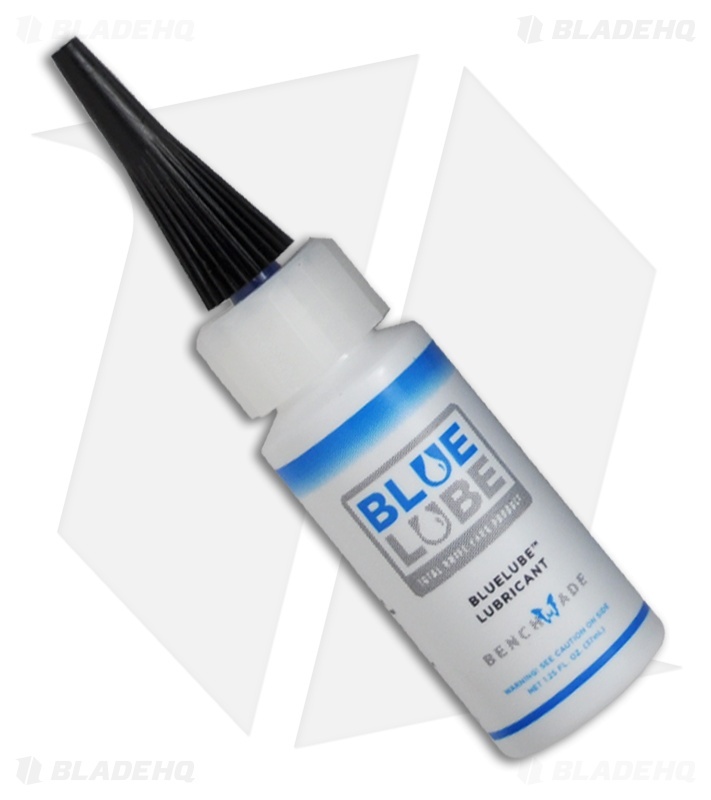 I bought the Blue Lube because I liked the bottle design/applicator, and the color of the lubricant. For all I know, it's nothing more than mineral oil with some blue dye. But it does a very nice job--mechanisms really smooth out, the lubricant lasts a long time, doesn't turn gummy, and it's odorless. I even used it to free up a sticky plastic pump mechanism for a lady-friend's face cream pump dispenser when nothing else worked. Who would have thought? Can't say enough good things about this! So my para 3 had a really dry pivot and just wouldn't open and close well so I ended up getting this and now it has an amazing action. I would recommend this to anyone. Perfect for any Benchmade or any knife. Get cleaner too. Periodic cleaning and oiling goes along way. screw wd-40. just slather this on and it'll work, whatever it is. I had a ball that was really squeaky, I bought some of this stuff and it hasn't made a sound. This is absolutely worth the money. Great lube that does its job well. I have had some knives rust after using this so I can't say how much protection it prevents rust and corrosion but it's a great lube for making your knives smooth as butter. Starting to think I am. 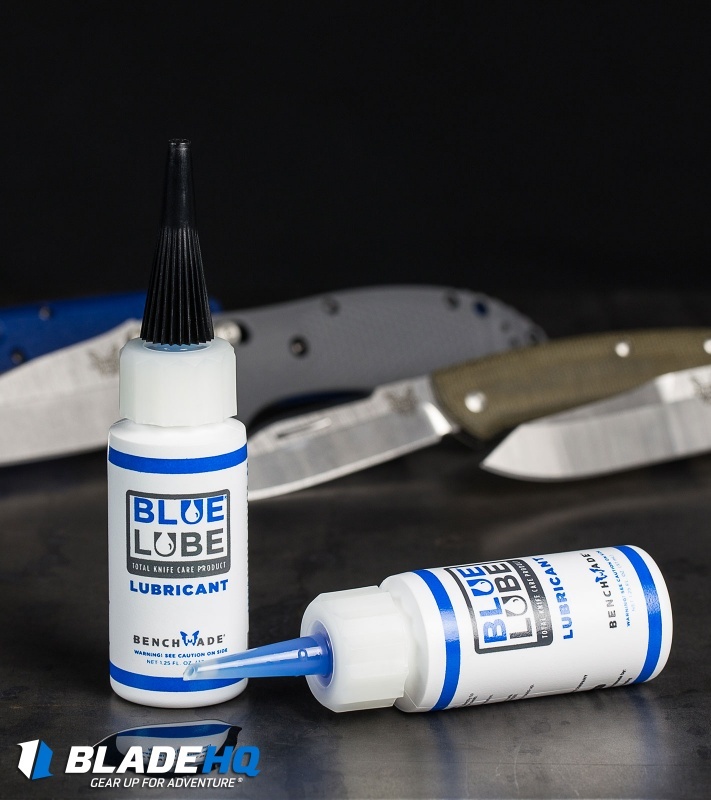 I had gotten Blue Lube fairly recently, but it goes on very well and doesn’t leave behind a beaded trail or schmutz on the blade. Works great for lubing up the “innards” of the blade after cleaning. Highly recommend. I work as a mechanical engineer and love seeing how things works. Naturally taking apart my knives within the first few hours of getting them is just something that i do. I spend time meticulously cleaning them and polishing the washers making sure to eliminate any resistance. this is the only knife lubricant i have used that doesn't get sticky and that doesn't attract to much dust. I now use it for just about everything and love the bottle it comes in. it is also an incredible value as a little goes a long way. 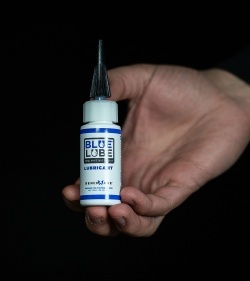 Heard a lot of great things about this lube. A little goes a long way. It is what it is, and you need it because smooth is never smooth enough. One of the things i like about it is that it prevents rust which helps on folders made of M4 or other rust prone steels. This helps me keep all my knives working smoothly. It's amazing. Just received an older model Gerber Mini Covert spring assisted (Has liner lock, not a button to close blade) Out of the package very sluggish opening. Used a few drops of blue lube and now it opens fast as it should. I highly recommend Benchmade Blue Lube. This is what every folding knife must need. If you want your knives to last longer this is what you need. Easy to use and this is a bluelube all you have to do is oil all the moving parts, pivots, buttons, springs, ect. Odorless no smelly fumes, no icky stains, no build ups, this will work on all mechanisms. I'm glad to have this arrived on time and no complaints here, all you need is a few drops and you're good to go, this will last you over a life time depending on how much you use, a must have. I'm satisfied with my purchase and never had any problems what so ever. Great service and will buy from again.